Looking for a Dunk Tank Rental Service in Pittsburgh Pennsylvania? Need a FUN way to COOL off over your next event? Steel City Gamerz Mobile Dunk Tanks are great for Festivals, Carnivals, Corporate Events, Family Reunions , Company Picnics, School and Church Events and a great addition to any Pittsburgh birthday party idea! 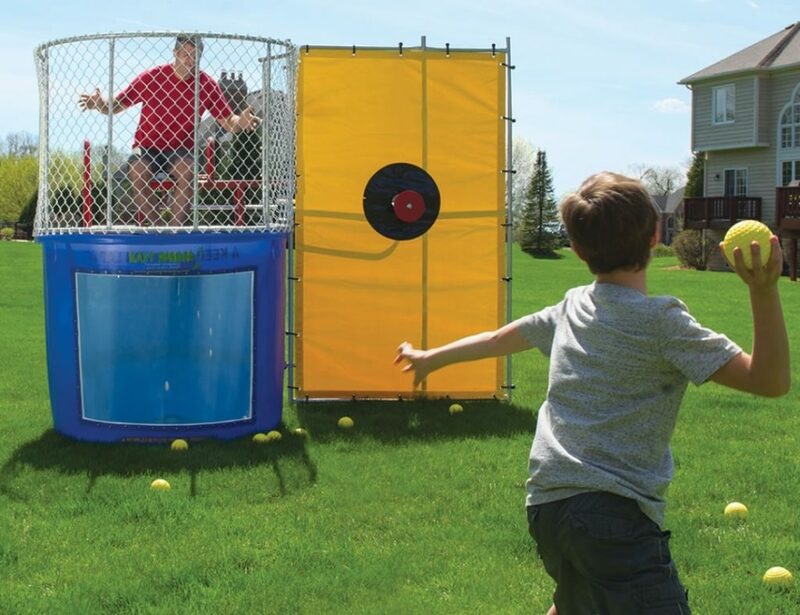 Let’s be honest, who wouldn’t love the opportunity to dunk your teacher, Manager, Girl or Boy friend, Boss, Parent or even your best friend at a neighborhood block party? Consider using our custom designed Pittsburgh dunk tank rental for your next fundraising event. How much fun would the kids have dunking their Football, Baseball, Soccer, Hockey or Basketball coach! Our 500 gallon dunk tank is a essential addition to your next event! Guests get to see all the action through our plexi-glass window. We make renting a dunk tank in Pittsburgh a easy process. Simply, let us know the location of where you would like things setup and all you have to do is fill it up!! Steel City Gamerz is the best Dunk Tank rental service in Pittsburgh! Simply use the BOOK NOW tab and we will contact you ASAP! Please understand weekend inquires may be slightly delayed. We look forward in making a BIG SPLASH at your next event!